Creatine is a major storage form of fuel that drives muscular contractions when you’re lifting heavy weights. But once you use up creatine stores, they have to be regenerated or further contractions can’t take place. It’s easy to understand, then, that if you can hyper-regenerate creatine stores in your muscles, you’ll be able to rest less between sets, get more power out of each set, get more reps from each set and, thus, stimulate more muscle fibers during each set. * That leads to more growth! the leader in creatine for over 21 years! Creatine monohydrate is the most researched supplement available! 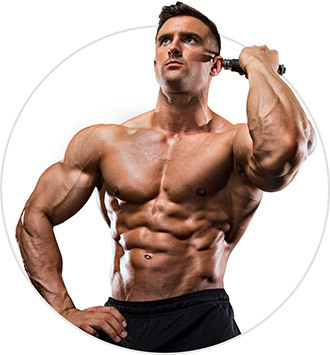 Creatine itself is backed years of research, and creatine supplements, since their introduction in the early 1990s, have undergone more studies than any other supplement – proving itself effective time and time again. It’s approved in virtually all sports associations too,1 making it the perfect performance and strength supplement for competitive and tested athletes! 1Information on this page is meant as a general guide only. Ensure you consult with your specific sporting associations governing body or anti-doping code prior to consuming any dietary supplement. Creatine is able to rapidly enhance your muscle cells’ ability to regenerate adenosine triphosphate (ATP). 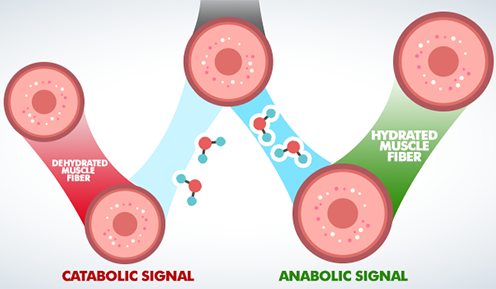 ATP is your primary source of anaerobic energy. The creatine monohydrate in Platinum 100% Creatine is changed into a molecule called phosphocreatine, which serves as a storage reservoir for regenerating ATP. We utilize high-performance liquid chromatography (HPLC)-tested creatine monohydrate only; and to ensure a high standard of quality and purity, each bottle of Platinum 100% Creatine undergoes strict quality control and is third-party tested and verified to ensure that each bottle meets the highest standards of purity, quality and consistency. 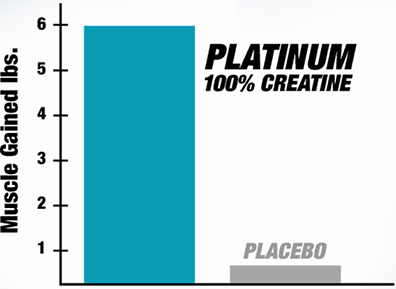 Directions For Platinum 100% Creatine: For the first 3 days (loading phase): Mix 1 scoop with 8 oz. of water and consume 4 times daily. After day 3 (maintenance phase): Mix 1 scoop with 8 oz. of water 1 to 2 times daily. For more impressive results, replace water with a carbohydrate beverage or sports drink.